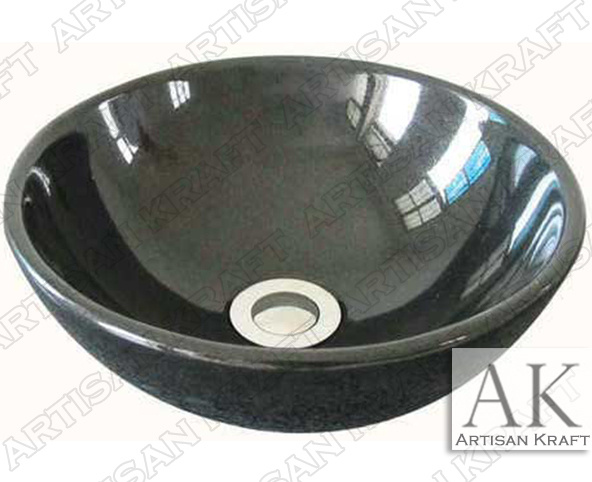 Black marble sink carved from absolute black marble. A bowl style bathroom vanity sink. Modern sleek design in a modern color. It is a quick upgrade to your bathroom that will definitely get noticed. We also offer a great selection of copper sinks. This marble has a polished finish making is very easy to maintain and clean.